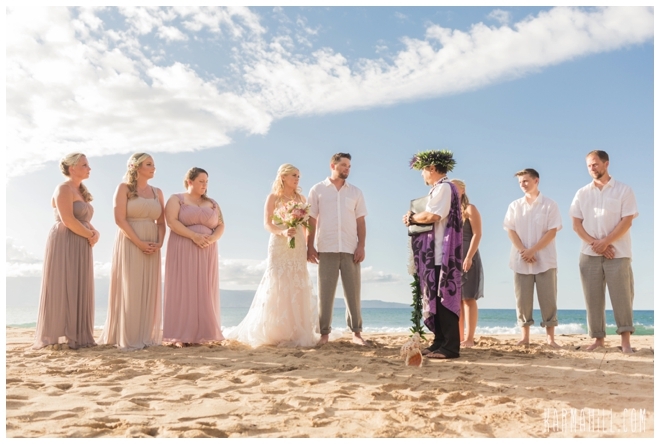 With eyes only for one another, Lindsay and Ian were like magnets moving towards each other on DT Fleming Beach the night of their Maui Beach Wedding. 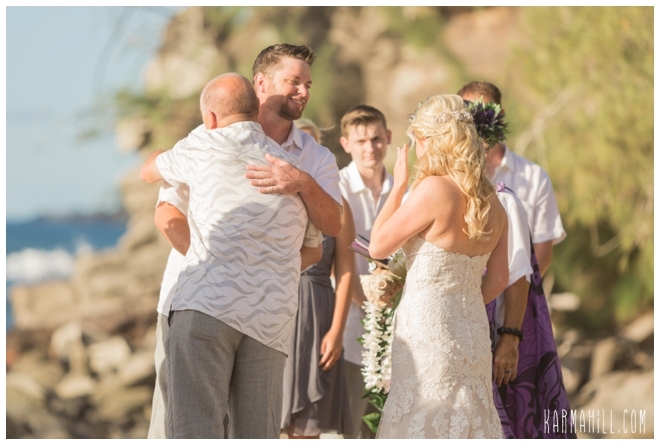 Though a laid back couple in nature, the excitement was evident as they began the ceremony that would change their lives forever. 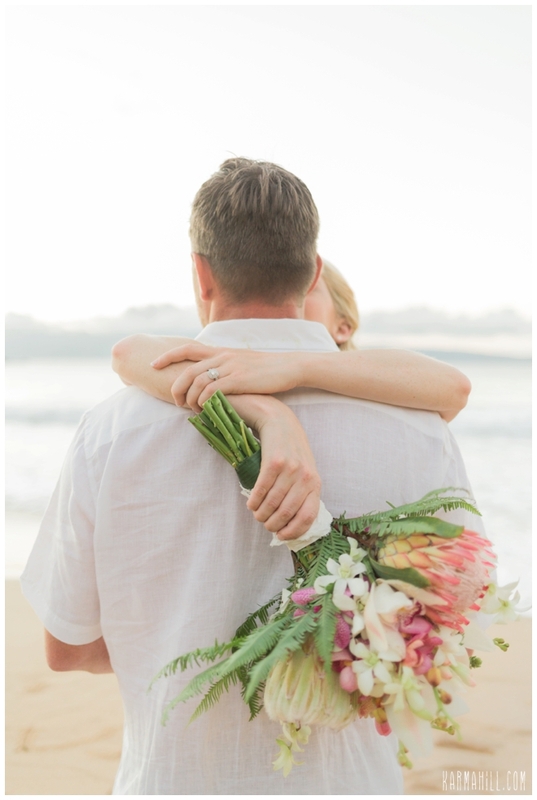 Armed with a bouquet wrapped in her grandmother's fabric, it was like her special grandma was there instead of back home, unable to make the trip. 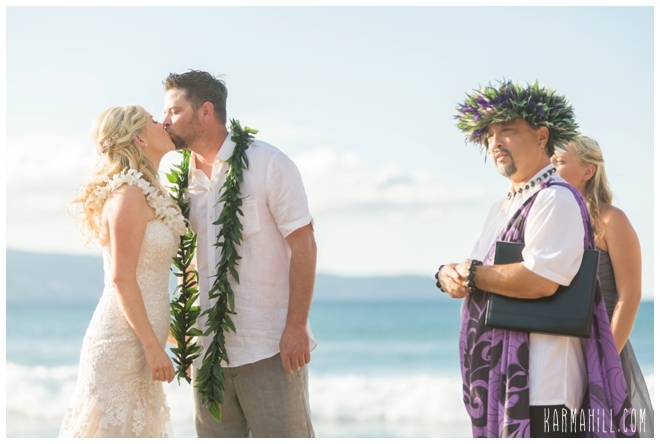 As other loved ones look on, they followed Rev. 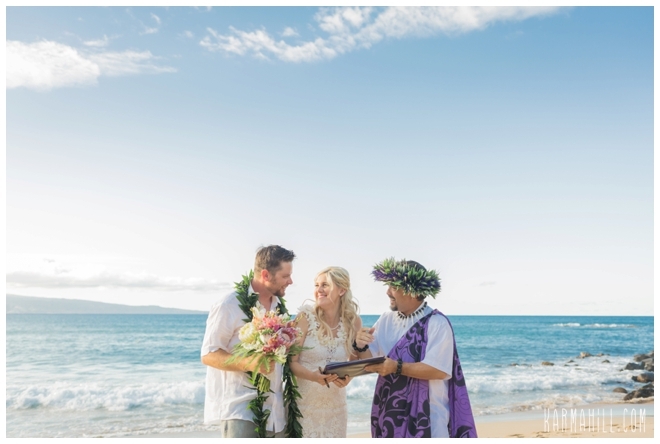 Kimo's lead and proclaimed their love, and intent to be married. 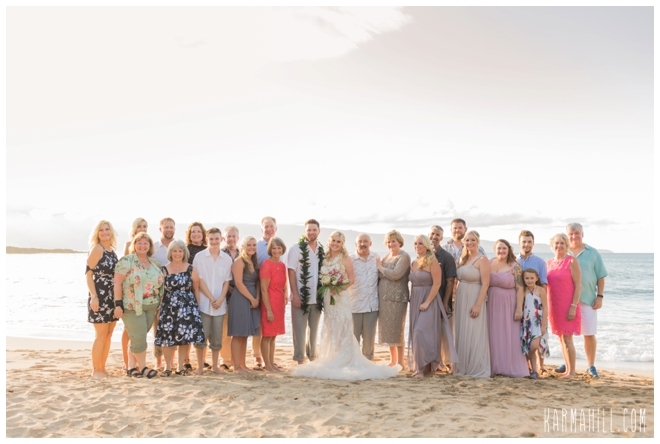 With the ocean doing a dance beside them, and their wedding party flanking them for support, this gorgeous Washington couple became official as the sun sank towards the horizon. 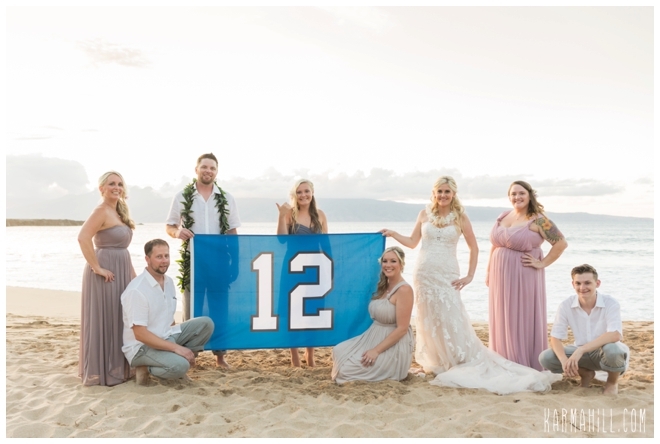 With the '12th Man' flag in homage to their beloved Seahawks, we were able to capture stunning romantic shots of these lovebirds while the rest of the group headed back to their condo where a BBQ awaited. 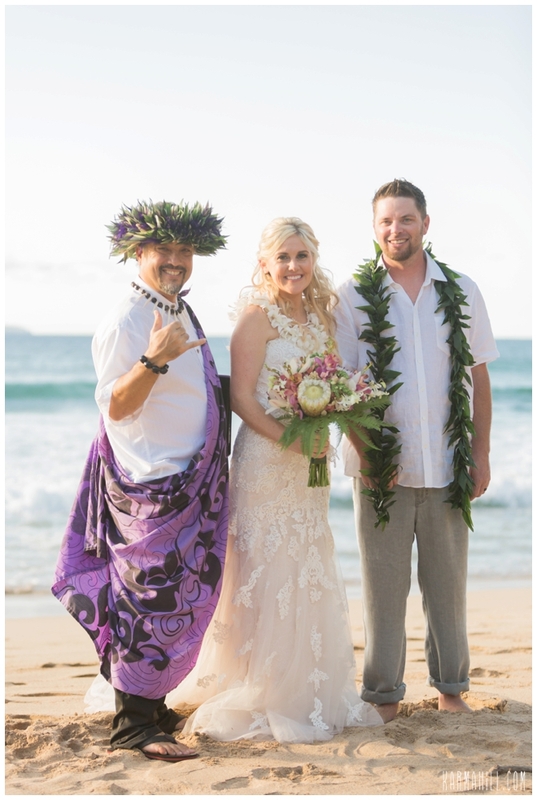 We had so much fun with this awesome couple and love their positive, go-with-the-flow attitude. 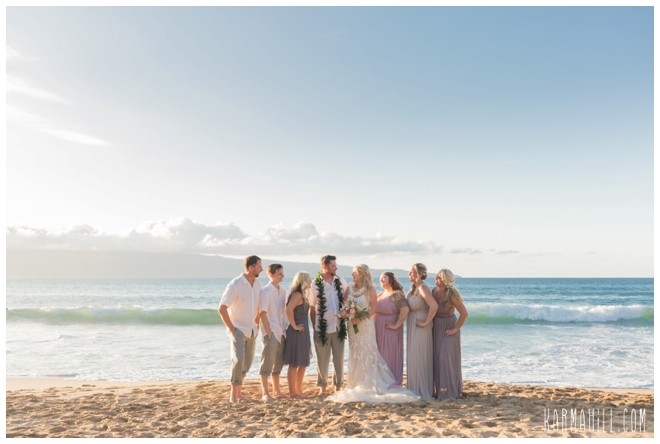 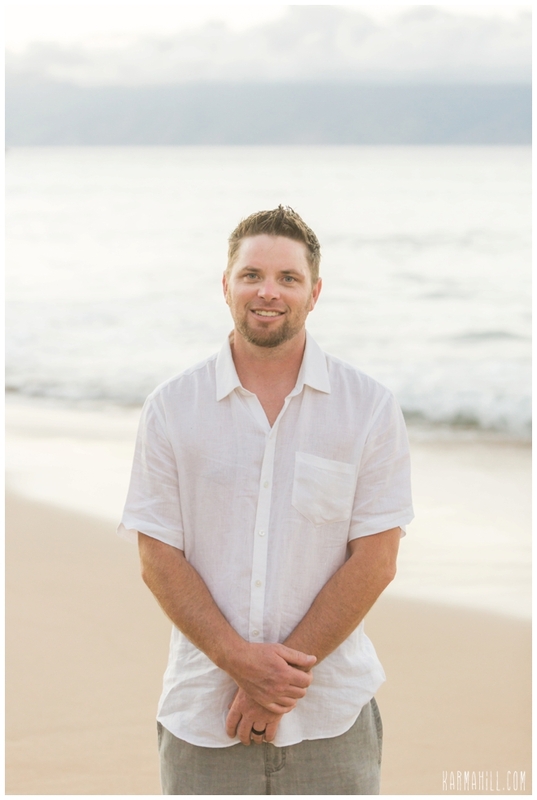 Lindsay and Ian, thank you so much for letting the Simple Maui Wedding team be a part of this incredible time in your lives. 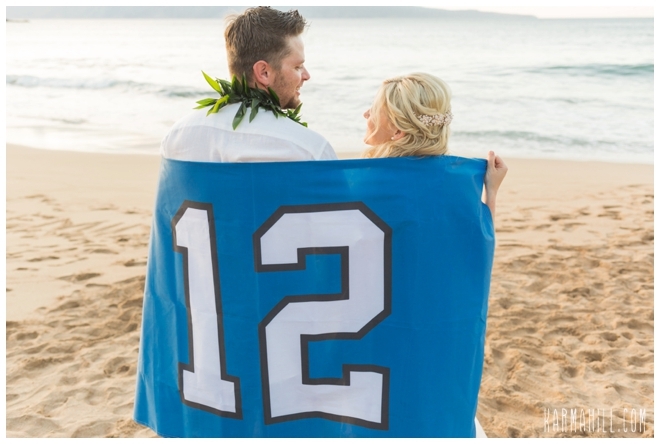 We wish you all the best in your marriage, and a winning season to boot. 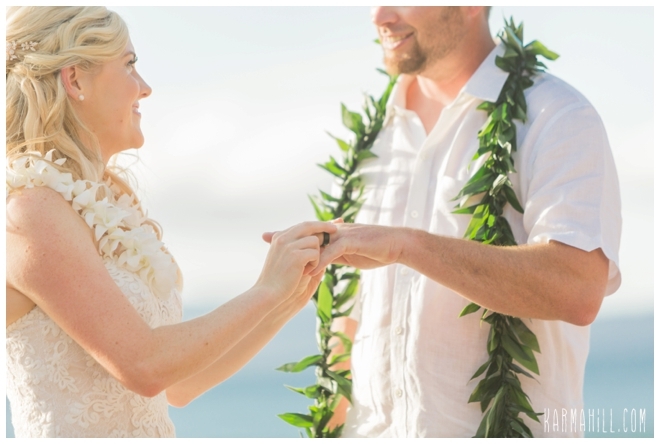 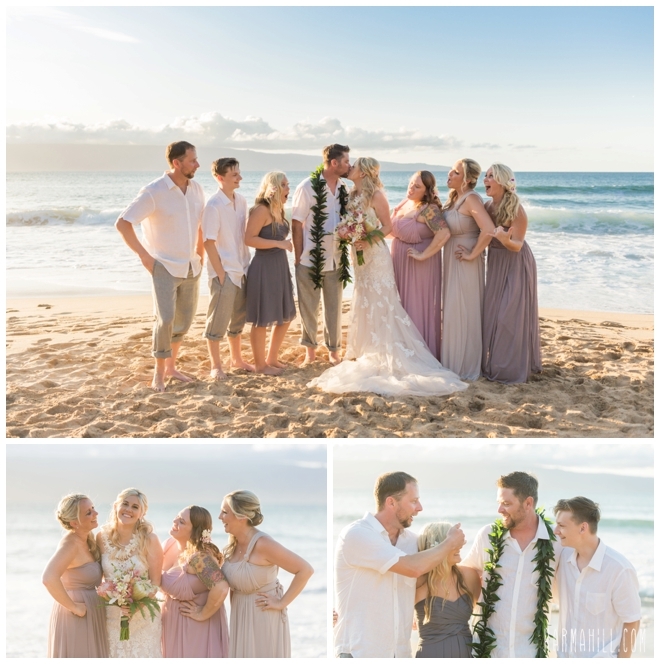 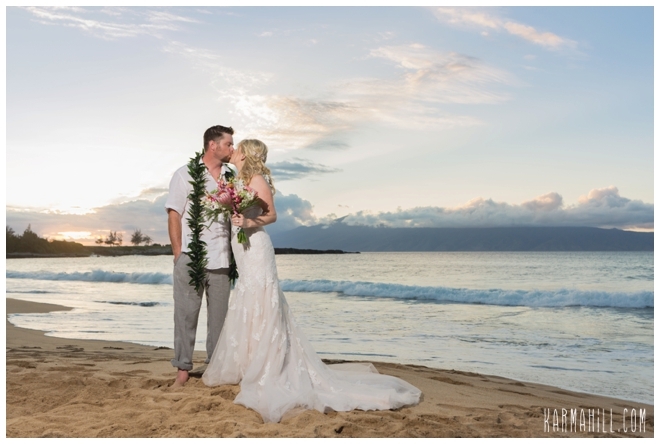 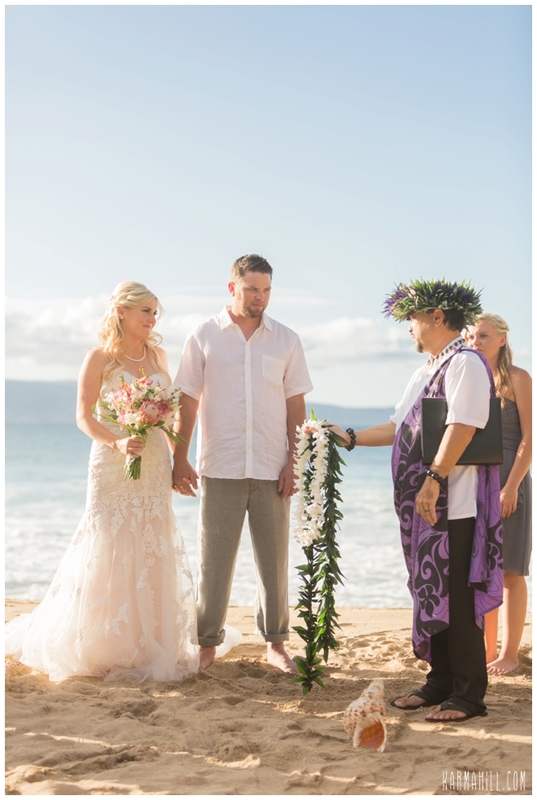 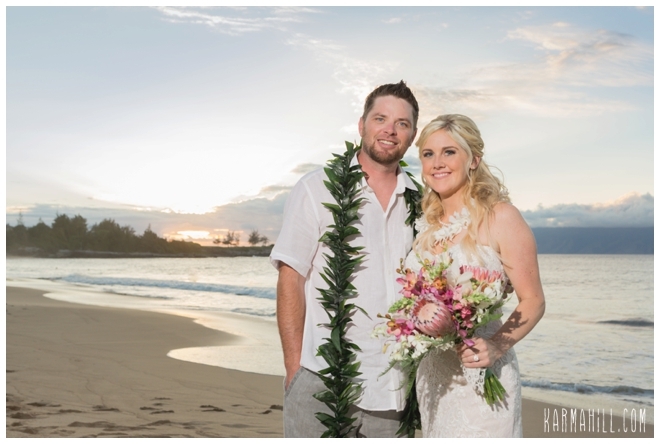 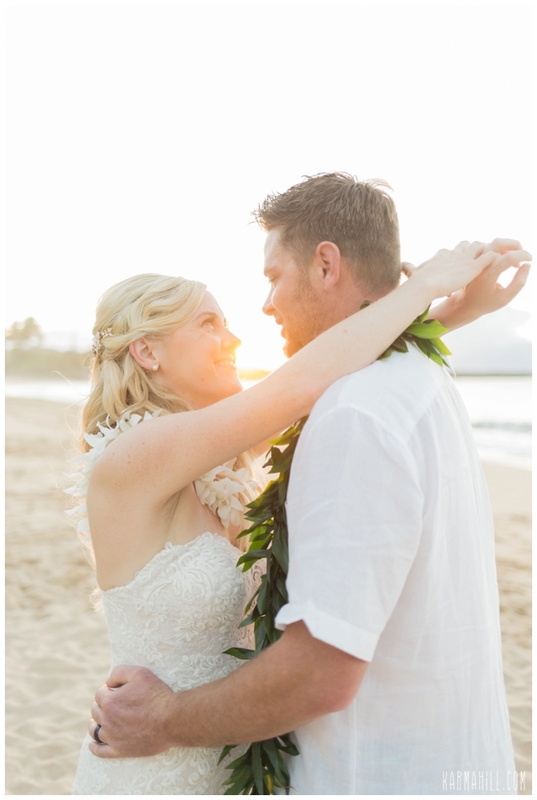 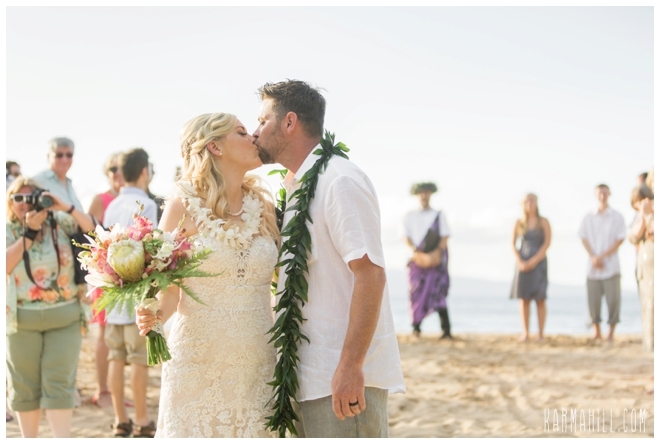 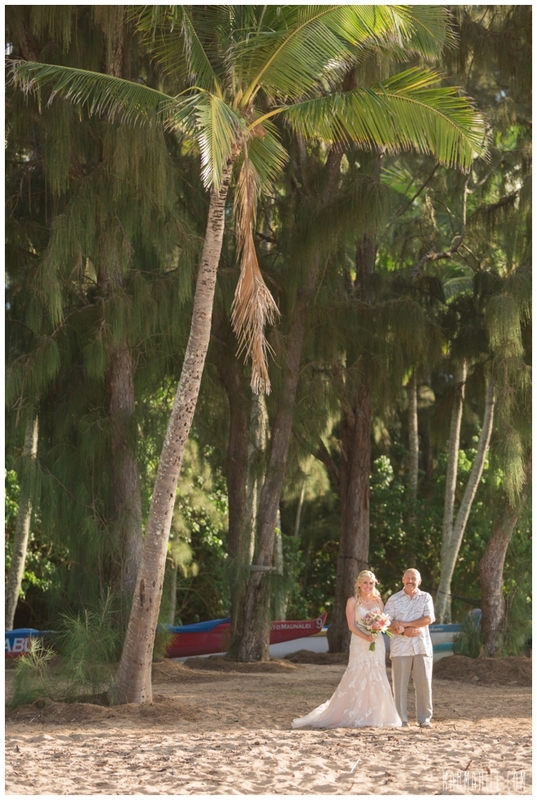 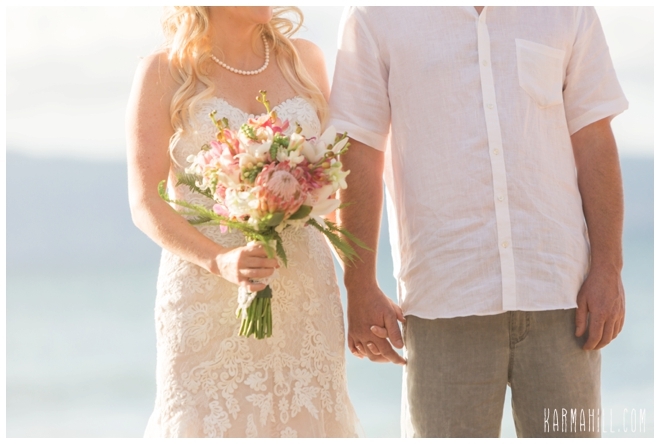 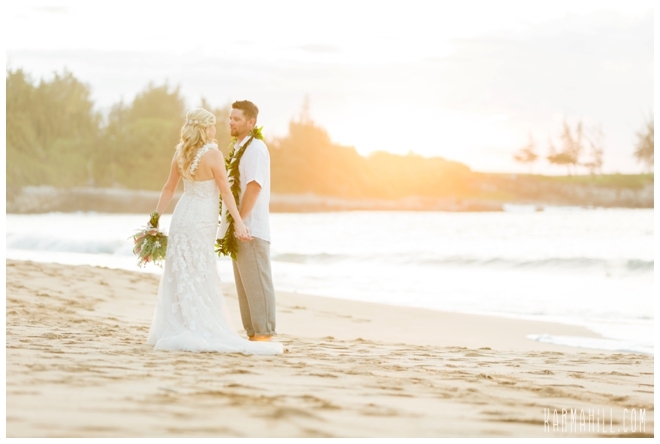 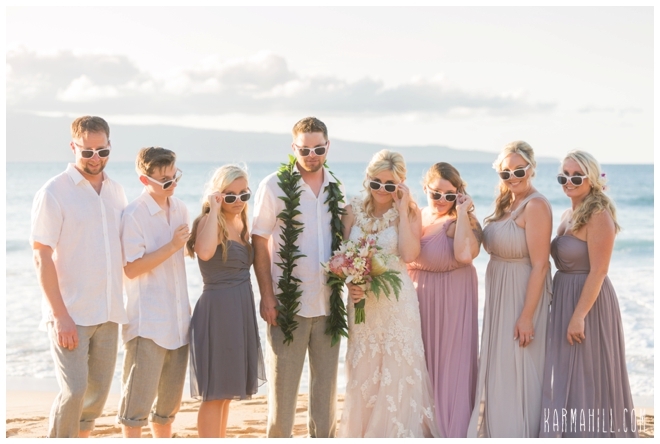 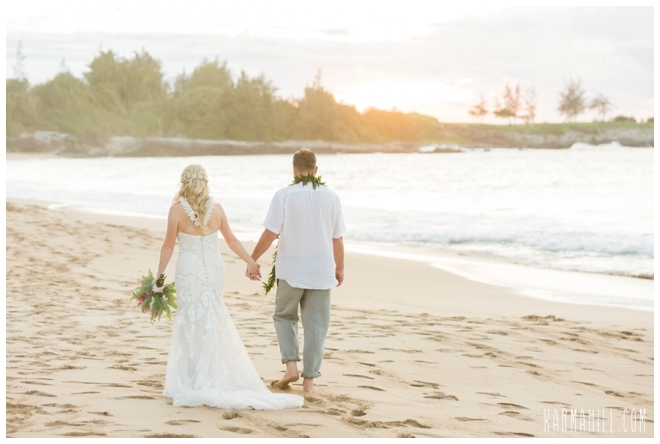 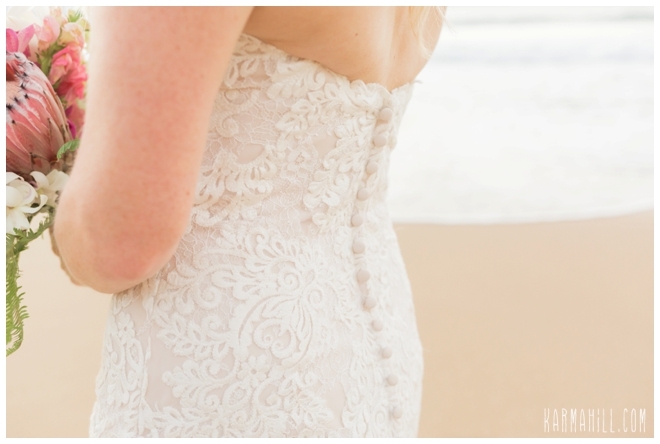 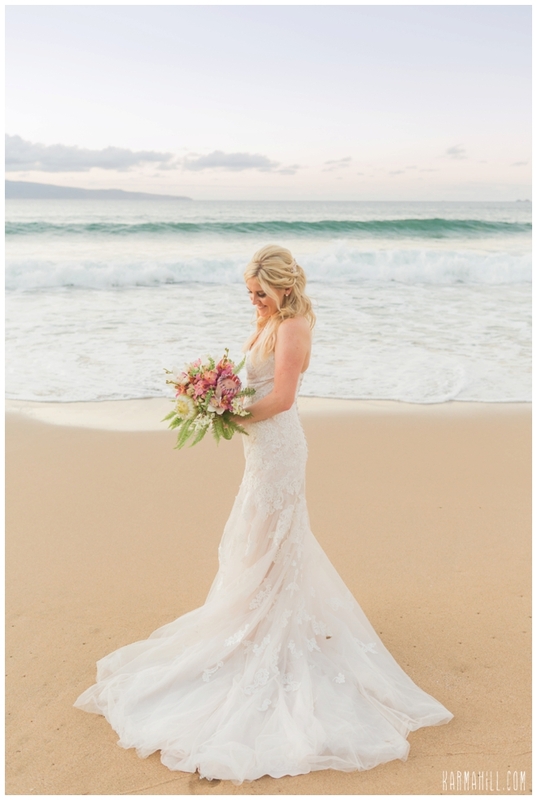 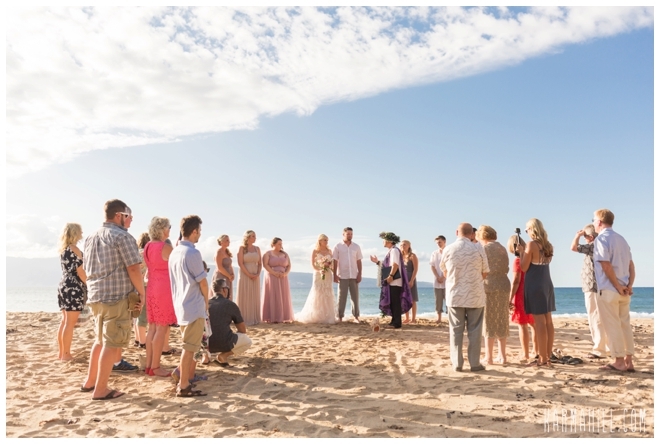 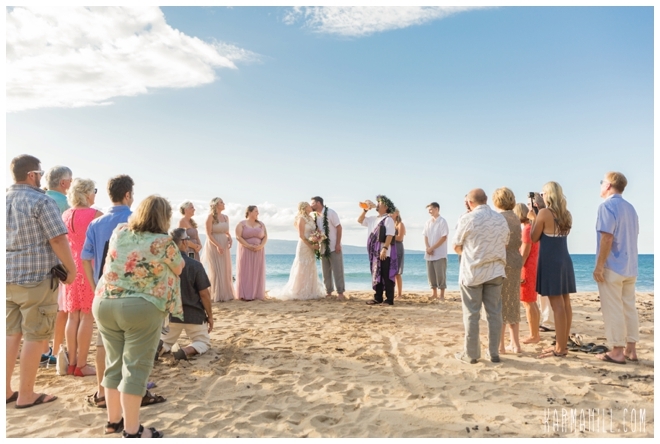 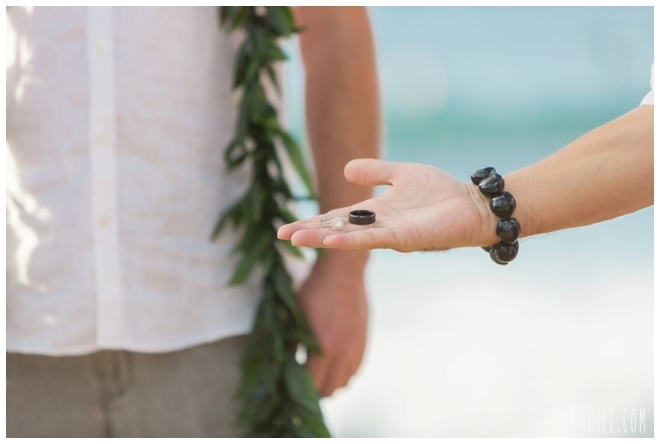 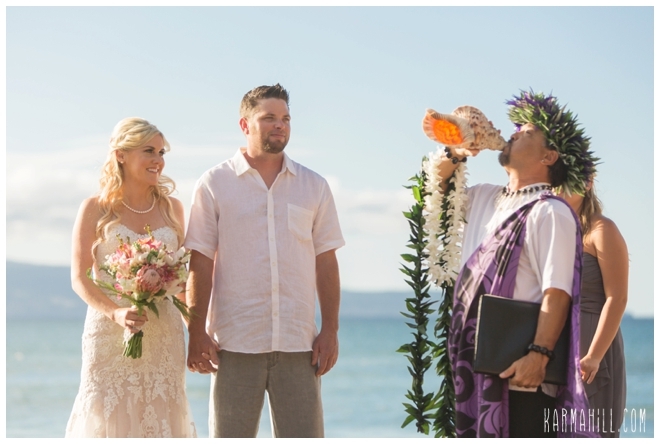 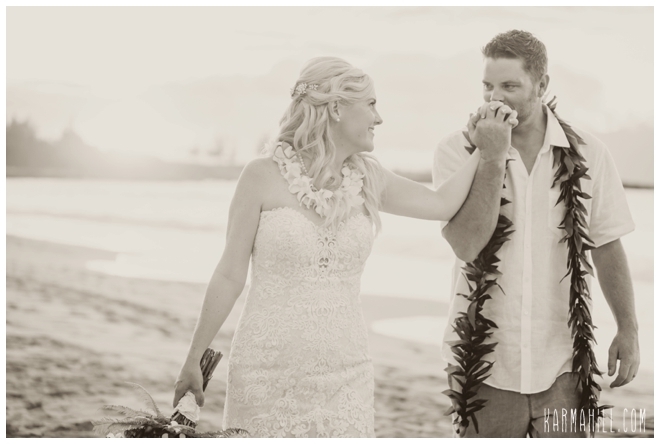 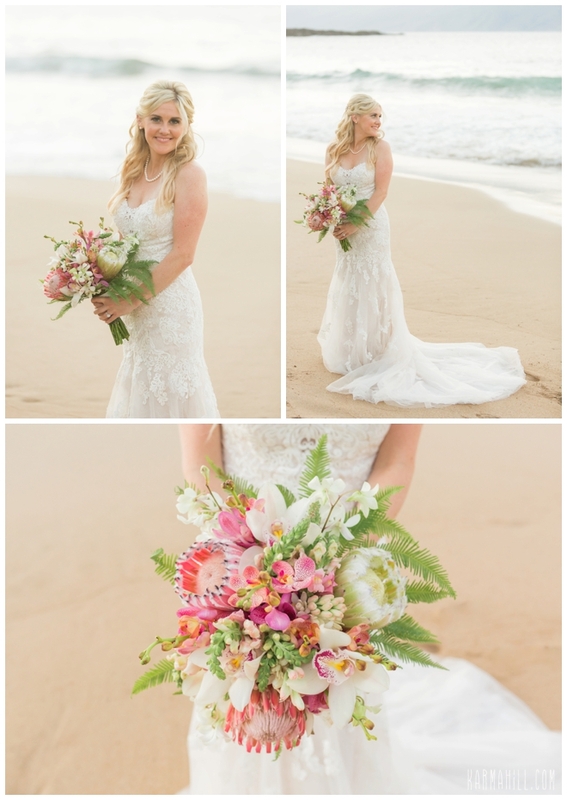 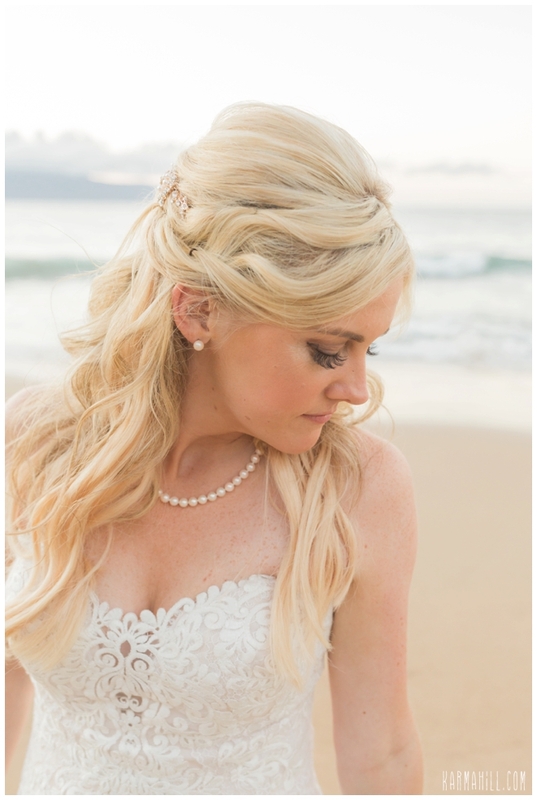 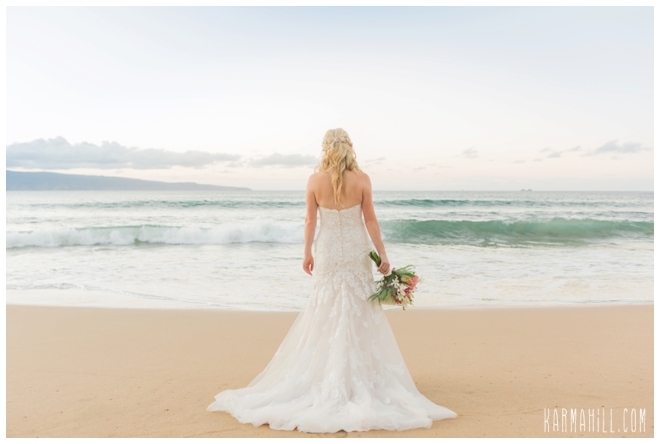 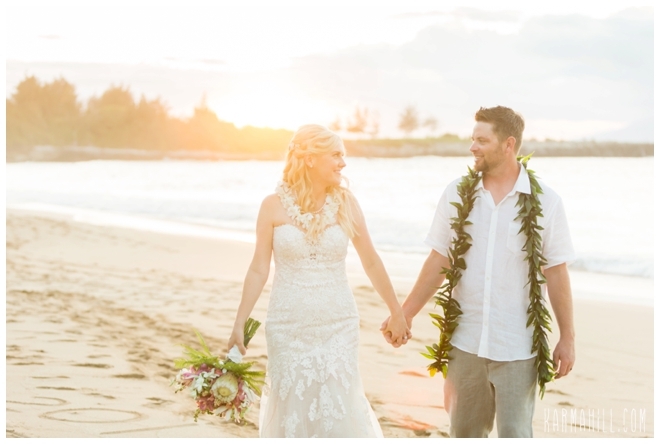 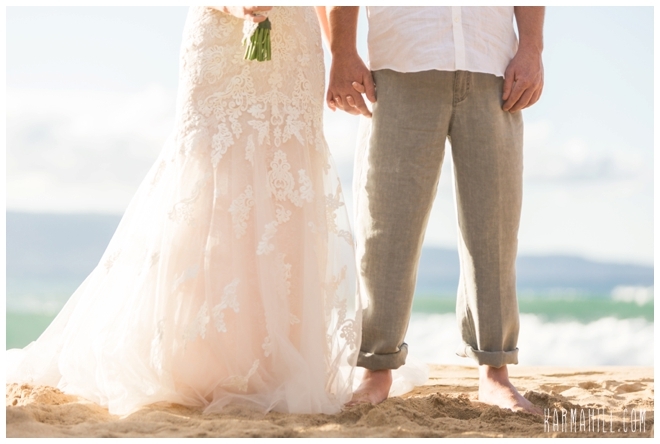 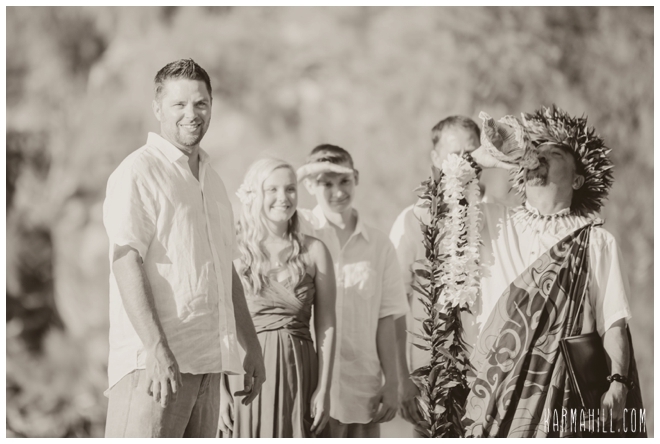 Check out Shauna & Alfie's Maui Wedding!